Sadly, email is not going away. So we've made connecting your email and Hive a lot less of a chore. individual projects in your workspace. 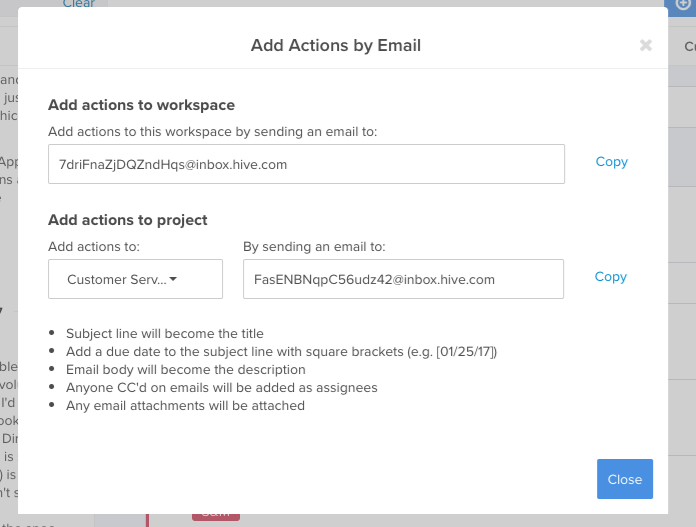 Your Hive account is associated with an email address unique to your workspace and each project in it. 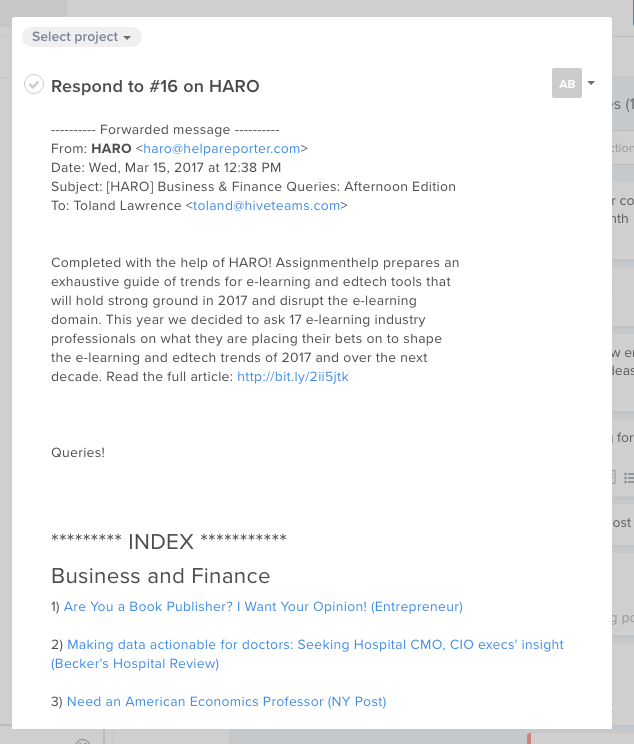 The format of the email is [WorkspaceID]@inbox.hive.com. You can find this email in the main menu under "Add actions by email". When selected, it will open the modal shown below. 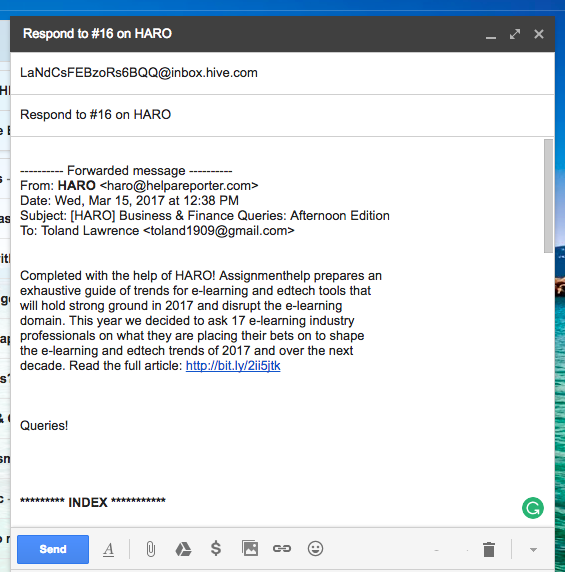 You simply copy the email address and paste it into the email you want to send into Hive. The picture below shows how it would work. When the action arrives in your workspace, it would look a little like this! So if you receive an email requesting you to do a certain task, all you have to do is forward it into Hive and it pops up on your action list.